Erwin Wurm - Narrow Mist. 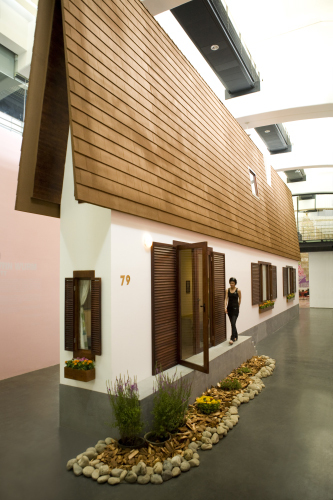 The sculpture exhibition at the UCCA in Beijing by the Austrian artist Erwin Wurm is featuring the ‘Narrow house’, a piece of art, which might be a reflexion of the artist’s childhood house. A building shrunken only in one axis. In his work, Wurm continuously digs behind everyday objects: fat cars, fat houses or Wurm’s amazing “one minute sculptures”. Read more about the UCCA exhibition at designboom. For another Wurm house project see "House Attack".